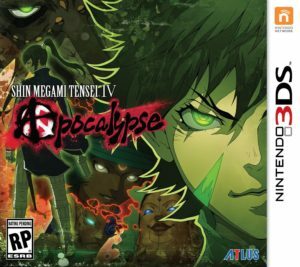 Shin Megami Tensei IV: Apocalypse releases for the 3DS in North America today but unfortunately, it’s shipping with a bit of a localization boo-boo. Turns out there’s still a smidgen of untranslated Japanese text during a boss battle near the end of the game. Atlus, the game’s developer and publisher, acknowledged the mistake and posted an apology and explanation on its website yesterday. The two instances of Japanese text that remain in the game only occur if a certain boss gives you a dialog option while your partner is unconscious. As one might expect, the QA department is pretty darn good at the game so this condition was never met during play testing and thus, the untranslated text was never noticed. Atlus says that it is looking into patching in a translation for the errant Japanese text but admits that the fix won’t happen soon if it happens at all but it promises to keep fans in the loop. Hopefully it will, at the very least, post the proper translations on its site somewhere so that even if the game doesn’t get patched, players who run across the text can look up what it says. It’s a shame that a bit of untranslated text slipped through the cracks of the SMT IV: Apocalypse localization but kudos to Atlus for being upfront and open about it prior to the game’s launch. Many of its peers could certainly learn from the example.